Contemporary society moves fast, and so do we! We’re always out and about doing something or other, and we don’t always have the time to sit and read as much as we’d like—or the opportunity to carry a book around. 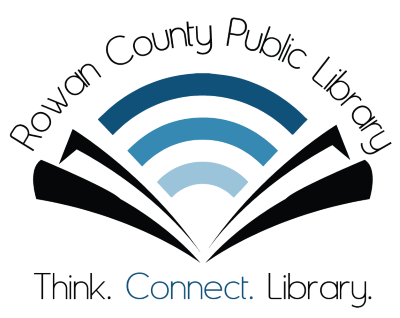 That’s why your Rowan County Public Library is pleased to offer a variety of digital services you can use to borrow and read any time, anywhere, from ebooks to audiobooks and more…including our Librista app! 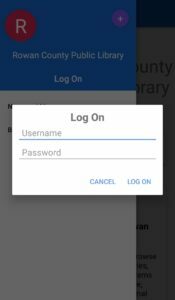 With the app, you can sign into our online public access catalog by searching for and selecting RCPL by name, then choosing to log on through the menu button in the top left-hand corner. 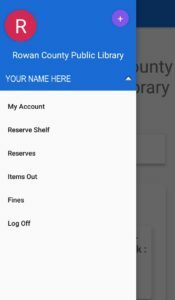 Fill in your library card number and PIN or password, and you’re ready to browse the catalog, place items on reserve, renew items you already have out, see anything that’s come in for you, and so on. We like to think Librista is pretty easy to use, but if you have any trouble with getting it set up properly, you can always swing by and visit us for some assistance! Our technology staff are glad to help you out with installing the app on your phone or mobile device and can show you how to use it with no problem. 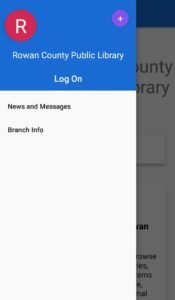 The app does pretty much the same things as logging into your account through our website, so remember that you can always get to that by clicking on the My Account/Catalog link on our main menu bar, or the sliding blue book button on our quick menu, to the right. Librista is just a handy way of taking that functionality with you even when you may not want to visit us online! You can find the Librista app on both the Google Play Store (if you’re using an Android device) and the App Store (if you’re an Apple user).